The NIKE brand is world famous for inspiring athletes to achieve victory. The brand is less known for its efforts to inspire military personnel and law enforcement officers to do the same. Yet combat and sport are deeply linked in NIKE’s history through one of the co-founders, Bill Bowerman. Bowerman served in WWII and returned home a decorated soldier before he coached track and field at the University of Oregon. NIKE’s tactical line highlights this connection. 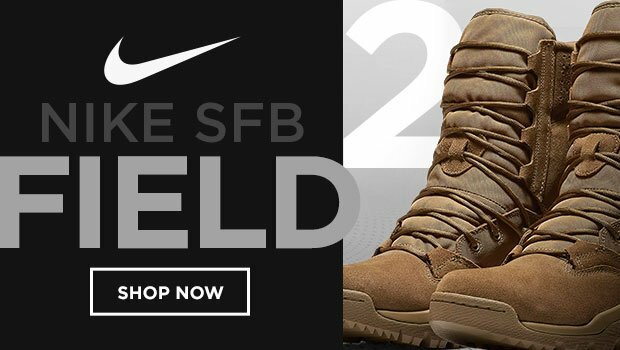 From military boots to baselayers, NIKE offers many products that combine the durability and functionality necessary for combat with the athletic technology for performance and comfort. Public safety professionals and military personnel are athletes with a very vital objective–to protect and serve. In training or in combat, on duty or off duty, NIKE crafts gear to support you in the toughest arenas an athlete can face.